Dalam kuliah termodinamika akan dibahas beberapa teori yg berkenaan dengan neraca energi sedangkan dalam operasi teknik kimia (OTK) kecenderungan adalah neraca massa dan momentum, disini saya akan memberi catatan ringkas. "In the study about thermodynamic will be discussed about several theory relate with energy balance and in chemical engineering operation are mass balance and momentum balance, here I will give a brief note." Thermodynamics II : It is imposible to make a heat engine which working at cycle only absorbed heat from reservoir and change completely to outside attempt and heat flowing spontaneously from material have high temperature to low temperature and not flowing spontaneously in reverse direction"
Newton III : If we give a force (action force) to the material so that material will give reverse force which that value is same and reverse direction (reaction force). (F action = -F reaction)"
An object is dipped in partially or completely in the liquid substances will take floating force which that value is same with weight of liquid is moved"
The result of multiple pressure and gas volume in close space is constant. (P x V = constant)"
Force that working at liquid in the close space give pressure which continued by liquid to same all direction"
Heat is resulted linear with resistor multiplied with quadrat of elctric current. 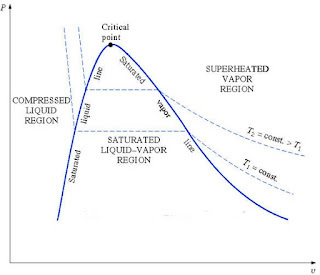 ( W = R x I2)"
Vapor pressure of an ideal solution is affected by vapor pressure of the solvent and mole fraction of the solute that contained in solution. (P solution = X dissolved . P solvent)"
It is imposible engine that operate between 2 heat reservoir more efficient than Carnot engine that operate in 2 same reservoir." Pada suhu konstan, jumlah gas yang diberikan yang larut dalam suatu jenis dan volume cairan tertentu berbanding lurus dengan tekanan parsial gas yang dalam kesetimbangan dengan cairan itu. 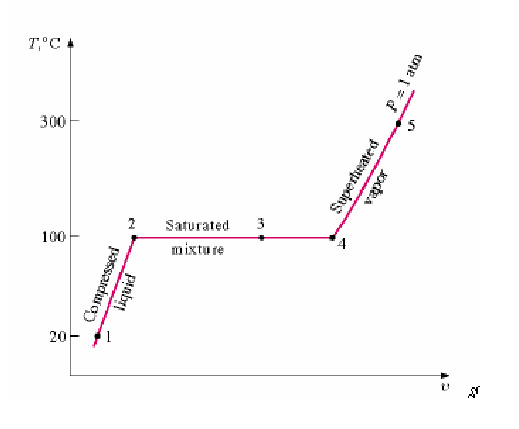 At constant temperature, amount of gas dissolved given into kind and volume of specific liquid linear with partial pressure gas at equilibrium liquid." 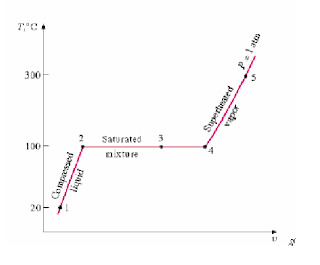 Example : Ice (from liquid to solid) happen when T unstable with P constant. Reading is take point at liquid area with specific T then pull to the solid area so will got specific P. Value of T change when shifted point to left / area solid. 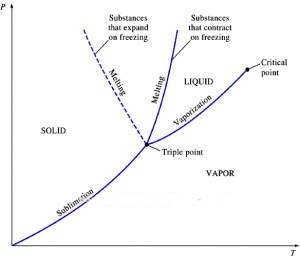 So conclusion is freezing can be done with condition P constant and decreasing of T. This reading can be applied for all changing phase"
If temperature we increase, will reach condition which saturated liquid - vapor only formed as point and we call critical point"
P sat (saturation pressure) = pressure when pure matter change phase at specific temperature"